In the years since World War II several diplomats have been honored as Righteous of the World for their effort to rescue Jews from their inevitable death and the hand of the Nazis. 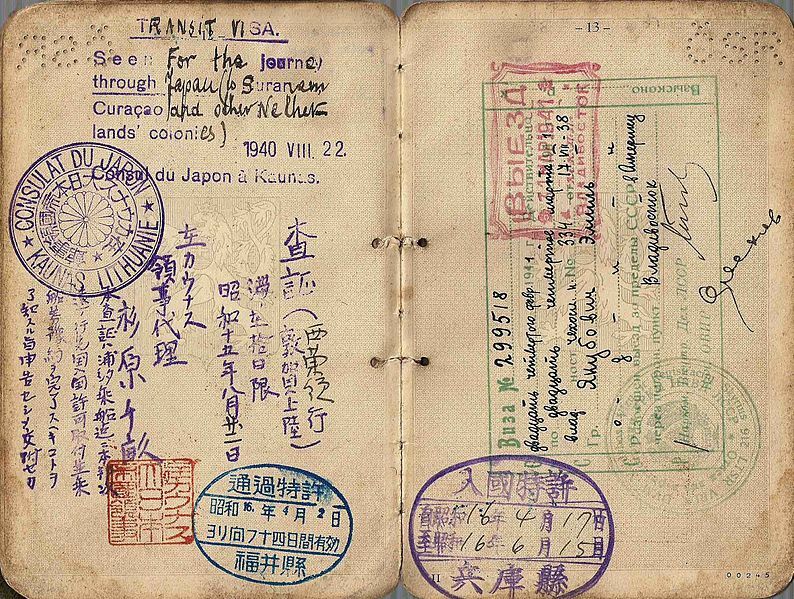 Visas and travel documents were the most obvious survival methods for many Jews. But the story of Japanese vice consul to Lithuania Chiune Sugihara is slightly different. Unlike some other brave diplomats, he was not the representative of a neutral country or a nation opposing Hitler, but the representative for one of Hitler’s chief allies. Risking his life, future and social standing he would save 6000 Lithuanian Jews. More than any other man apart from Swedish diplomat Raul Wallenberg. In July 1940, as the Nazis were advancing, the Soviets ordered the evacuation of all foreign embassies and consulates in Kaunas. 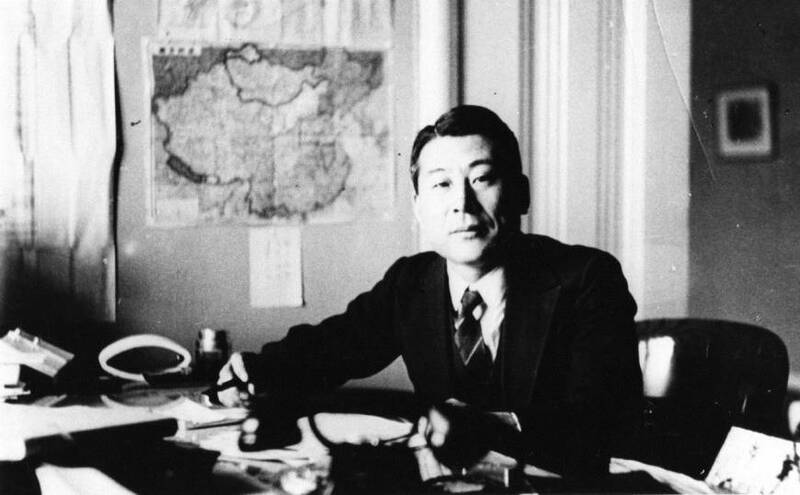 Sugihara, along with Dutch diplomat Jan Zwartendijk, requested a 20 day extension. He wanted to help the Jews. Consul Sugihara had already grown close to the Jews of Kaunas. Nine months earlier he had come across a child named Solly Ganor – at the child’s aunt gourmet food store. He overheard about his efforts to support the Jewish refugee board. Sugihara assisted him with some cash and Ganor invited the kind diplomat to candle lighting on first eve of Chanukah. Sugihara and his wife Yukiko attended their first Jewish Chanukah celebration. Fast forward to July 1940 Consul Sempo Sugihara and his family are a wakened to the sound of desperate Jewish refugees. They want to flee the city from the Nazis. The Soviets will grant those holding Polish citizenship entry if they hold a Japanese transit visas. But Sugihara did not have the authority to issue large amounts of visas without permission from the Foreign Ministry in Tokyo. He telegraphed his superiors three times and all three times was denied. Showing extraordinary courage and unique altruism Sugihara defied the orders. For 29 days he and his wife spent their entire time writing and signing visas – issuing over 300 a day. Those granted visas would board trains to the Russian far east – a relative sanctuary in these darkest days of humanity. As many as six thousand refugees found their way to Japan, China and other far east designations. They became known as the Sugihara Survivors. He is the only Japanese to be honored as “Righteous among the Nations”. Sugihara was later posted in Konigsberg. At the end of WWII he was captured by the Russians and he and his wife spent 18 months in a POW camp. Upon his return to defeated Japan he was dismissed from the foreign office. He would later spend 16 years in the Soviet Union as a trade representative. When asked to explain his actions he said: “You want to know about my motivation, don’t you? Well. It is the kind of sentiments anyone would have when he actually sees refugees face to face, begging with tears in their eyes. He just cannot help but sympathize with them. Among the refugees were the elderly and women. They were so desperate that they went so far as to kiss my shoes, Yes, I actually witnessed such scenes with my own eyes. Also, I felt at that time, that the Japanese government did not have any uniform opinion in Tokyo. Some Japanese military leaders were just scared because of the pressure from the Nazis; while other officials in the Home Ministry were simply ambivalent.